The new ‘Super Test Centre’ at Rotherham, South Yorkshire, has come under fire this morning after the first candidate crashed his bike and broke his arm! The DSA’s new centre opened for motorcycle tests on Monday for the new part one of the motorcycle test which must be taken off road due to that fact that some of the manoeuvres have to be done at 31mph. Concerns are being voiced up and down the country by riding instructors after finding out that the test moves HAVE to be carried out at the same speed and over the same distances, whether it’s a nice sunny day or chucking it down with rain! Instructors have been told that the surface is fitted with a super sticky compound which makes it safe in all weathers. “The areas used for the motorcycle manoeuvres have been tested thoroughly in both wet and dry conditions and provide a safe environment for the candidate. Tests have continued successfully at Rotherham since this happened. I personally would like to know who is actually testing these centres. Is it experienced riders who may very well be able to cope with doing these kinds of exercises, or is it novice riders who have recently learned to ride a bike? It would be interesting to find out. “Adam did his swerve manoeuvres and put his brakes on so he could stop in the required distance. “But the back end of the bike swerved round and threw him off, leaving him with a very nasty break to his arm which needs surgery. “All the instructors around here agree this is a joke. It’s common sense that you wouldn’t ride the same in the wet. They’ve just thrown common sense out of the window. On the same day at the same centre, another young man fell from his bike, and was uninjured, and a girl failed the test, in the pouring rain, for being 1kph too slow. I don’t know about the rest of you, but if it’s raining I slow down on my bike and yet the DSA is expecting new riders to carry out manoeuvres at the same speed as you would in the dry! It just doesn’t seem right. Plus, if you think about this, new riders will be suffering from ‘test nerves’, I know I was when I took my test and this may well be a contributing factor. I really feel for anyone looking at taking their test now, it can be done but it not an experience I would want to go through. I’m just glad I passed my test before this was bought into effect! The new motorcycle test comes into effect at the end of this month, and motorcycle groups are warning that the system is not sufficiently geared up to avoid chaos. The DSA’s decision to make the test available at just 66 centres nationwide, instead of the previous 260+, will make it more difficult to get a test booked, and that’s before any of these new riders actually faces the ride to get to one of the new ‘test super centres’. As things stand at the moment most tests are booked as part of a package offered by training schools, courses such as the DAS (Direct Access) course and availability has always been pretty good. But after the introduction of the new test a greater number of training establishments will be sharing the new test centres, which will result in many fewer bookings for each riding school. Many riding schools must now be doubting how secure their futures are when taking the the current status of the new test centres into account. Some are reporting that the numbers of learners they may be able to book in for tests may be reduced by half. How long are riding schools going to be able to continue with that kind of a drop in the revenue? Plus, if take into consideration the increases in fees imposed by the DSA in recent months you will begin to wonder how many people will actually look at taking their bike test now. 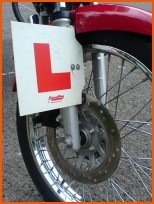 Additionally fees for taking riding courses will no doubt go up as schools have to cover the costs of getting learner riders to the test centres. Some new riders, already nervous at the prospect of thaking their test ,may face a journey of 45 minutes or more just to get to their test centre. The implementation of the new test was delayed by 6 months last September as only 38 of the 66 new test centres was ready for business. Since last September just 6 new ones have been added and the remaining 22 areas have only temporary or weekend only test centres. All of my local riding schools now face sharing a test centre which is only open on Tuesdays!!! It’s a joke! Considering the new test was implemented to increase rider safety, there are fears that a growing number of riders will be put off going the new test route and will just take to the road without a licence. Well done DSA.. A gold medal is coming your way.. for making a right ba**s up of this! It has been announced by Jim Fitzpatrick, our Roads Minister, that from 27th April 2009 learner motorcyclists will be able to take the two parts of the new 2009 motorcycle tests on different days if they want to. This means that they will be able to take the new manoeuvres part of the test at one of the specially built test centres, and then take the on road section of the test at an existing test centre, probably closer to home, is they choose. The Driving Standards Agency (DSA) seriously messed up last year with the building of these new test centres, as not enough of them were completed in time for the original launch in October 2008. Personally I reckon they know there won’t be enough of the new test centre’s open by March 30th 2009 (Why am I not surprised? )and this is the way it is being dealt with this time. Instead of clogging up the test centres, and having the examiners do both parts of the test on each appointment, I’m wondering if they will ‘advise’ people to do the second part of the test at the centre they would have had it at before the new test came in. At the end of the day I still don’t believe the new test launch is going to be smooth, if anything I feel sorry for anyone looking at taking their test after the cut off date. I reckon it’s going to be a nightmare! I can’t see how they can postpone the new test launch yet again, without looking like inept idiots! There are still huge area’s of the country not covered by one of these new test centres, remember new riders were not ‘supposed’ to have to ride more than 20 miles to their motorbike test. Some are still going to have to ride a lot further and personally I really feel for them. Imagine those poor riders who have only just learned to ride and are having to go 40 miles through rush hour traffic to take their test early in the day! Its madness!! Talk about a baptism by fire! While rider groups have welcomed the news announced yesterday, they, like me, are still concerned about the distances some people will have to travel. It’s not going to be fun for some of the new riders out there! Countdown To The New Motorcycle test.. Again! 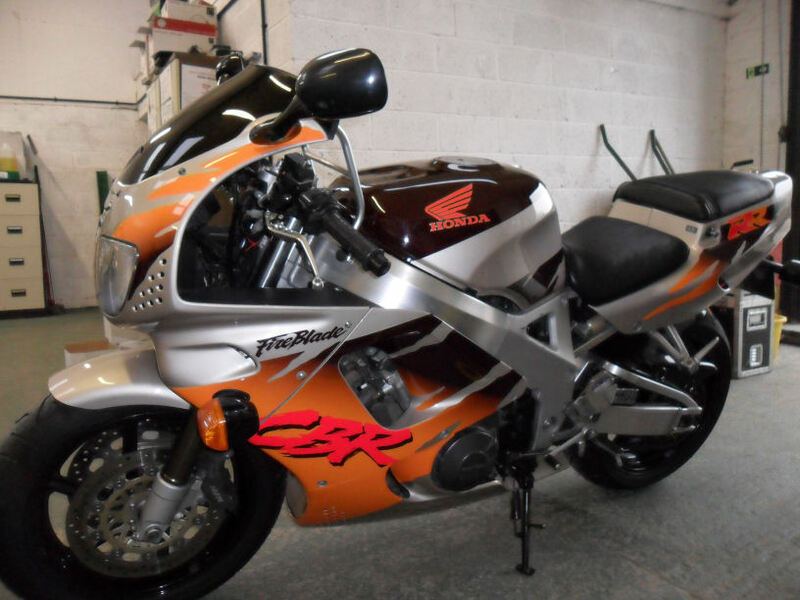 2009 Motorcycle Test – Price Hike, Again! I really can’t believe this bit of news. Apparently the price of the 2009 motorcycle test is to go up AGAIN! Not content with a £20 increase in September 2008 to cover the increased costs of the new test, it is to go yet up again by another £10.50! If you are booking your motorbike test and intend taking it after March 30th 2009 it will now cost you a staggering £90.50! That’s a 50% increase in fees in less than a year! Considering the last increase in fees was supposed to pay for the increased costs for the new test, I’m absolutely appalled that they are yet again increasing the fees while many of the new test centres still need to be built! How the heck can they justify yet another increase when some learner riders will still have to travel too many miles to get to one of the new centres? Talk about being ripped off!! It’s enough to make my blood boil! You are currently browsing the archives for the 2009 Motorcycle Test Changes/Updates category.